Yesterday was a holiday in honor of the late Dr. Martin Luther King Jr. I thought it would be appropriate to share some of my thoughts on the man and his mission to stand against injustice. Dr. King stood for racial equality in the face of institutionalized racism. Here’s a quick reference of some of his accomplishments from the King Center Website. It’s important that holiday’s like yesterday are more than just a day off. It’s time for all of us to understand our history and celebrate the accomplishments of a great man. What a contrast Dr. King’s measured strength, sincerity and tenacity are to so many politicians today. So many politicians use today to talk about racial equality and tweet out quotes from the iconic civil rights warrior. One of those politicians is our own New Jersey U.S. Senator Cory Booker. Booker often tweets about love conquering hate and on the surface you’d think that his tweets today would be in line with his overall philosophy. But then as we know, actions speak louder than words…or tweets. 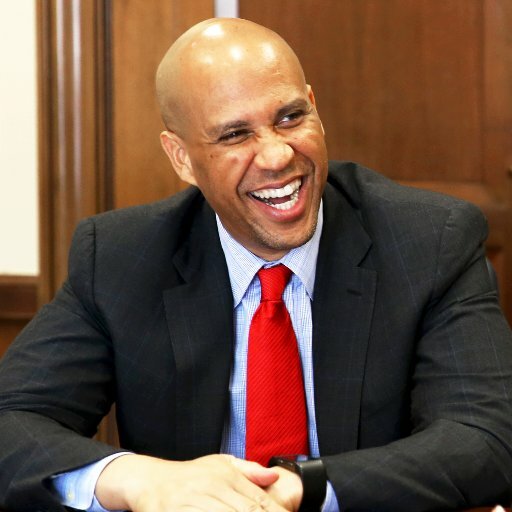 Last week Cory Booker reminded us of just how ambitious and manipulative a politician he can be. He openly attacked his colleague Senator Jeff Sessions who is President-Elect Trump‘s pick to serve as Attorney General. His verbal assault indirectly invoked race and equality in an open attempt to discredit his colleague. I’ve commented many times in the past that I think the Senator in this job and in his previous one as Mayor of Newark is much more about personal ambition than public service. The fact that he was viral on social media for personally shoveling out a constituent after a big snowstorm, really underscored the failure of his term as Mayor to effectively provide basic services like getting the streets cleared. All the while he was clearly looking to make the jump from Mayor to U.S Senator. Booker’s ambition is showing again. As the discussion of him as a possible Presidential contender in 2020 pick up steam, he went after his colleague, on his civil rights record. You don’t need to look back to far to find the utter hypocrisy in his statements. Just last year Booker was praising the same Senator as they joined to award the Congressional Gold Medal to the Voting Rights march from Selma to Montgomery, Alabama in 1965. So Jeff Sessions was good enough for Senator Booker to partner with and praise then, but now in order to ingratiate himself to Left-leaning primary voters for a possible future run, he’s willing to throw his colleague overboard. Shameful and hypocritical. Of course the Senator didn’t do himself any favors by siding with the Republicans in the Senate last week to oppose a common sense bill that would allow Americans to import less expensive prescription drugs from Canada, but that’s another story altogether. For now, calling out the blatant hypocrisy of Senator Booker is the priority. He and other politicians shouldn’t think using race as a tool to disparage colleagues and promote a personal agenda would go unchallenged. Given the context of today’s holiday celebrating the legacy of the incredible journey and victories achieved by Dr. King, it’s especially disappointing to see this kind of action from Senator Booker. This entry was posted in The Daily Point and tagged Cory Booker, Donald Trump, Jeff Sessions, Martin Luther King Jr.